We were down at the ranch on July 12-20 to visit CD Littlefield and check on things. 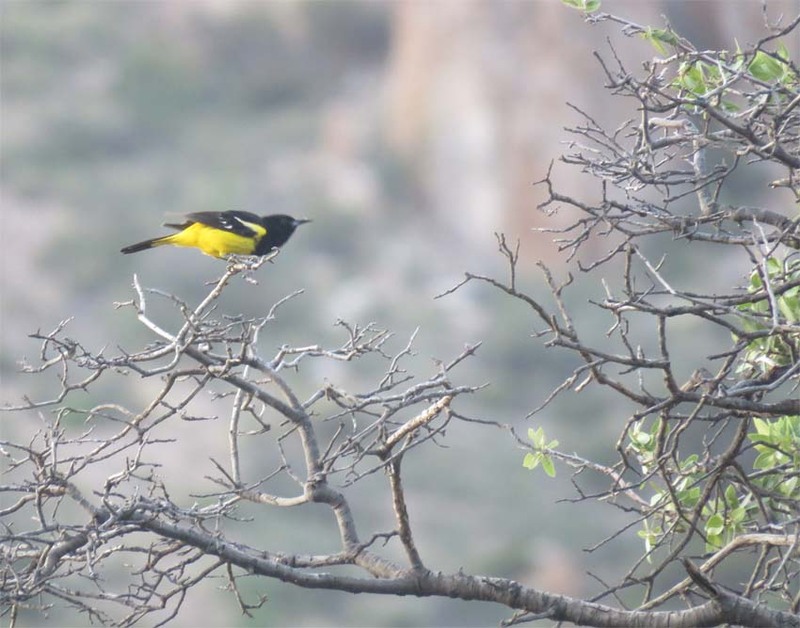 The Hooded Oriole pair was evident every day and the male posed on a Yucca, above, as if to emphasize just how handsome of a dude he was. He did that a lot, but I caught this moment with a camera. 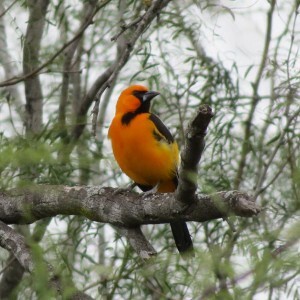 Our other resident Oriole, the Scott’s, helped the visit with the most beautiful song in US bird-dom, in Delia and my’s opinion. Here one takes off from an Emory Oak. 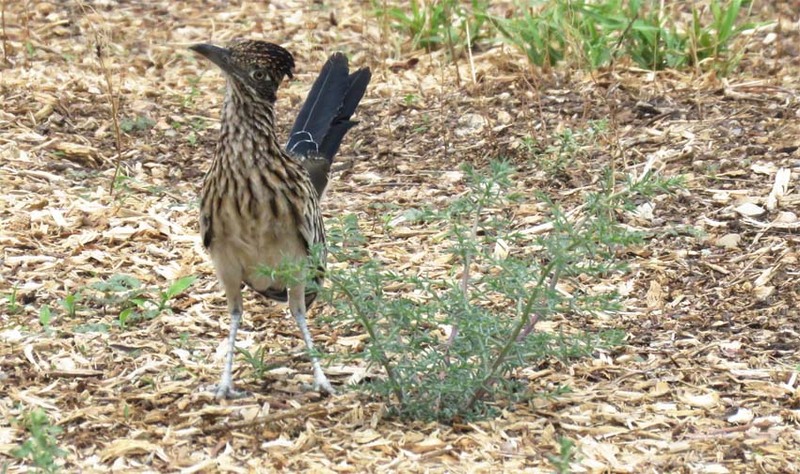 We don’t get Road-runners at the ranch, it’s mostly too high I presume, but there were lots in other places. This was at Airport Wash in Tucson. Delia and I always bird Airport Wash when we get the chance. 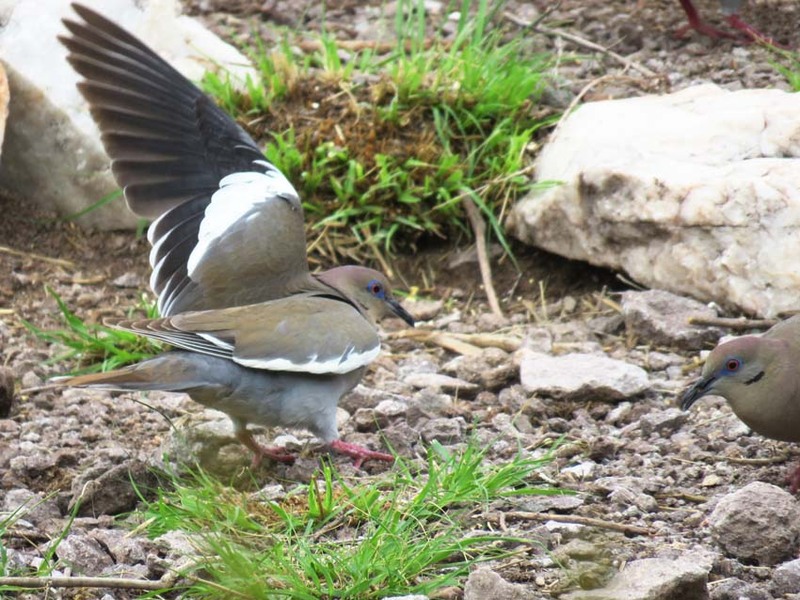 Doves are the symbol of peace, but this colorful White-winged Dove appeared to be repeatedly picking fights with another bird. Don’t mess with a Dove if it has one wing up. 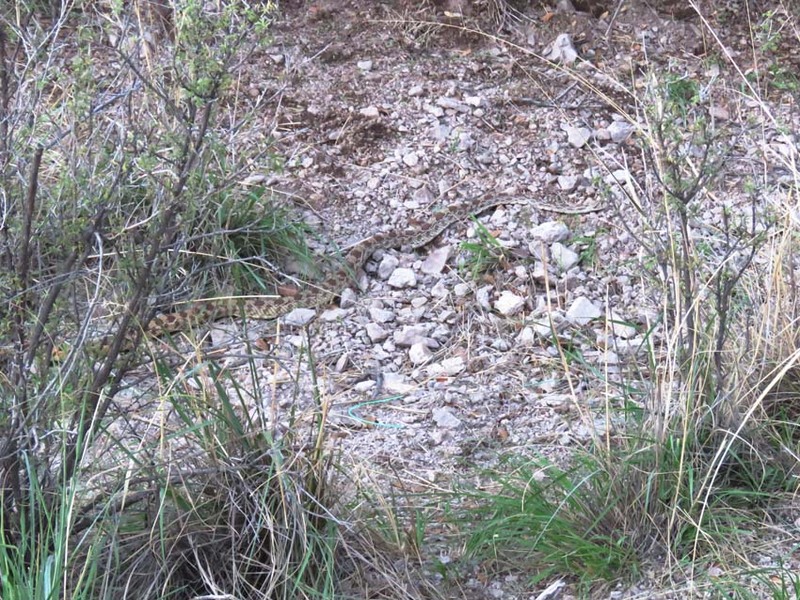 Perhaps the same Gopher Snake that showed up last fall was hunting around the house, causing the Rufous-crowned Sparrows and Towhees to become very upset. Maybe between 6 and 7 ft. long. 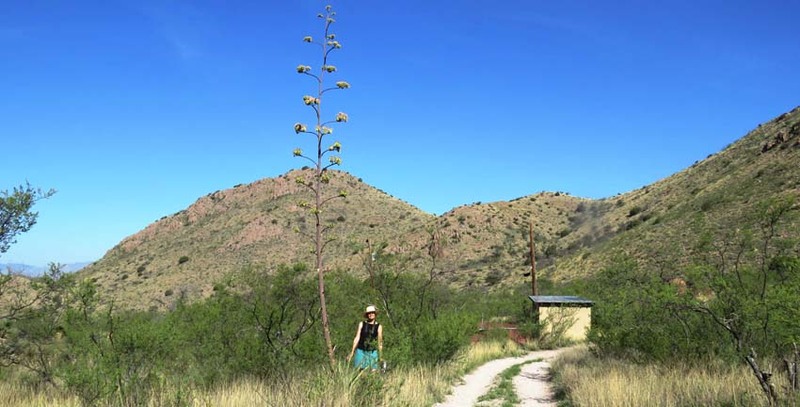 An Agave on the way to the pumphouse went for it this summer and surprised us with it’s (to us) somewhat amazing height. It must have thought it was a Doug Fir. The Hummingbirds and Grosbeaks loved it. 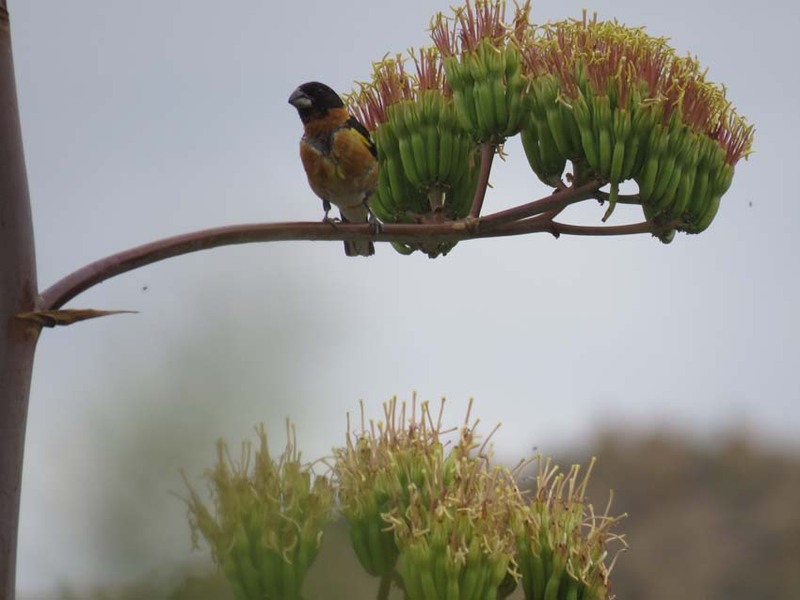 Here is a Black-headed Grosbeak that must have been moulting feathers on the same Agave. 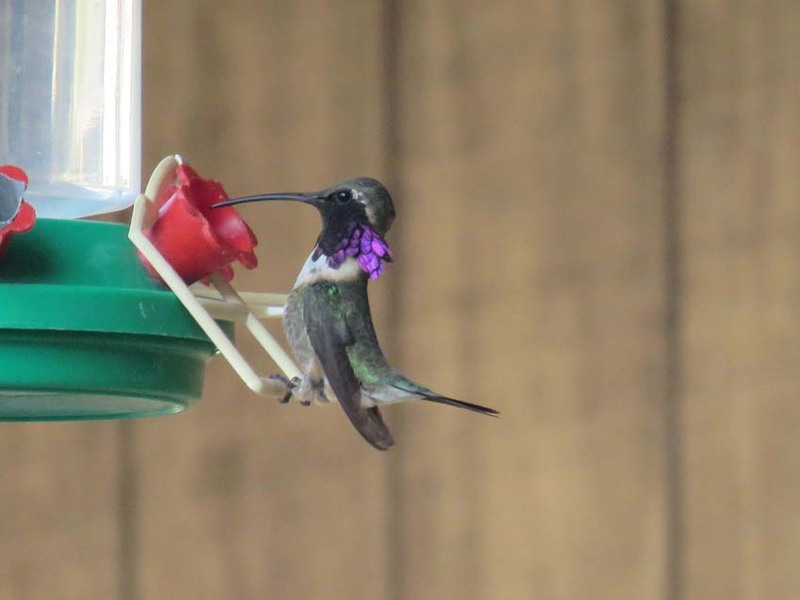 A male Lucifer Hummingbird at a feeder. 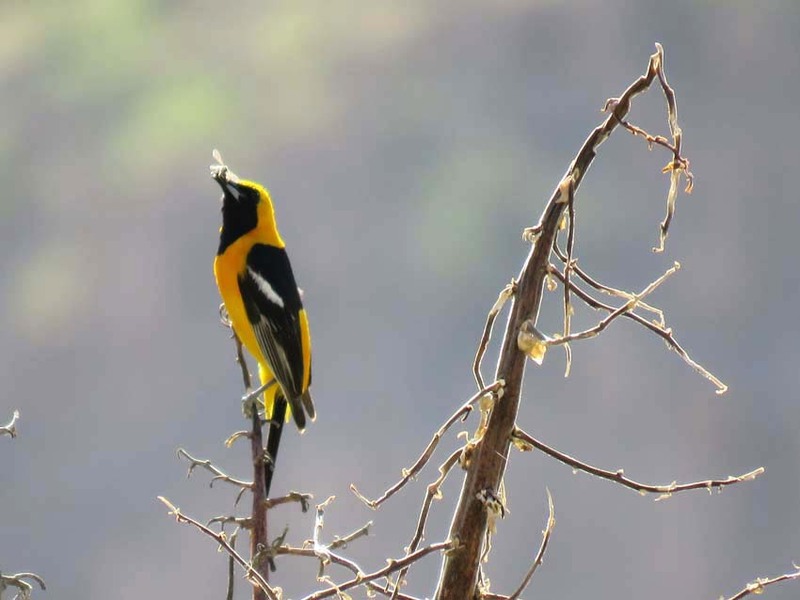 When these males see a female Lucifer, they hover back and forth sideways about a foot in front of her with the gorget fully deployed into an elliptical shape almost like a Bird-of-Paradise routine. I tried very hard to get the shot. Then they hope it’s not just another me-too moment for the female. 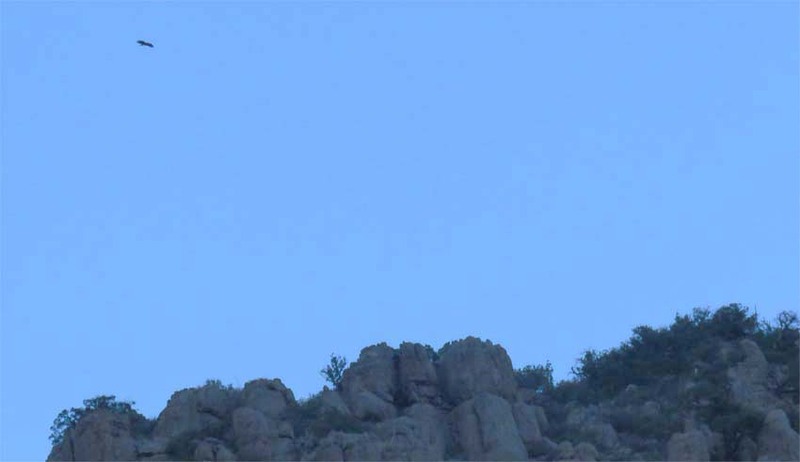 We hadn’t seen Golden Eagles all this year over the Red Cliffs, their traditional soaring ground. But we noticed everywhere the Cottontails were finally back to bumper-crop levels and on the last day a parent and baby showed up–what a treat! Back in Seattle the normal but also unprecedented dryness (not just lack of rain, but combined heat and lack of rain) has probably helped decide a lot of birds to leave the area or fail in the first place, I presume. 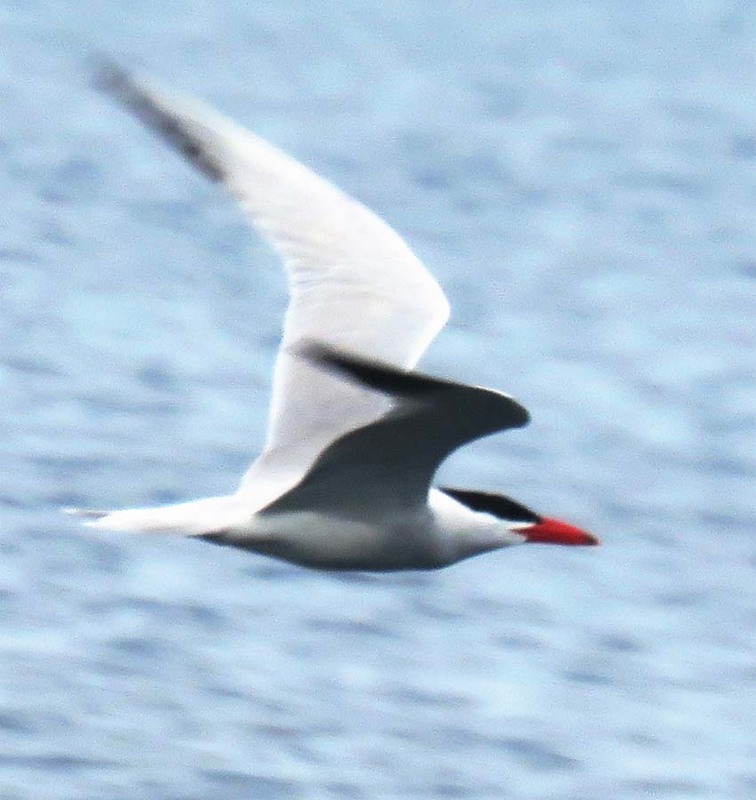 One thrilling bird that seems to be present in HIGHER numbers than usual are Caspian Terns, one of the most beautiful birds in the world (in my opinion.) They are probably nesting somewhere near Kellogg Island on the Duwamish River and commute to various places to hunt, which they do like Ospreys, ie. plunge-diving. What a bird. Here is one taken from the Bainbridge Ferry. They fly over our house on Beacon Hill, perhaps heading for Andrews Bay, at 4 and 5 in the morning.